Over my years of traveling and work with RV Parks I’ve personally seen a lot. The good parks, the bad parks, and the plain ugly parks across the country. Yes, I’ve seen them all. 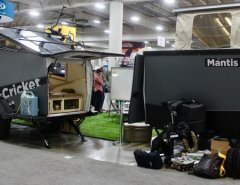 I’ve also seen the good RV’ers, the bad ones, and the plain ugly ones as well. When choosing a place to stay for a day, week, or month, I take online RV park reviews pretty seriously. I also take extremely negative RV park reviews suspiciously. And today I got to see some of the ugly. Not a park, but instead a neighbor. This afternoon I popped my head out for a break from working on several projects for our current clients. I’ve been making a habit of sitting outside, taking a walk, or listening to audio books outside to get away from the computer. From a few sites over I heard a woman shrieking. Screams “Oh my god,” shrieks, sobs, and more F Bombs than you can imagine. My first thought was that someone was doing harm to the lady in question. I contacted the front office to let them know about whatever was going on. I walked closer to the campsite and realized nobody was getting hurt. The camper was freaking out on the phone, extreme dramatics. The front office was aware of the issue. Apparently the RV’ing couple had a dispute last night as well. …“I’m gonna cut you with a beer bottle,” style of dispute. Ugh. As it turned out, the incident from last night prompted the park owners to ask the campers to leave. Multiple neighbors were disturbed and woken last night. Sadly, the neighboring campers may have a less than stellar view of the park after experiencing a domestic dispute near them. The park owners reacted properly, and soon the bad eggs will be on their way. Unfortunately one of the trouble-makers was heard yelling on the phone about how terrible they have been treated by the park….. Yeah, bad review incoming. 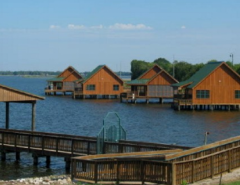 A few weeks ago I spoke with one of my many RV Park clients about a recent review about their park. It was a fairly vicious review left on Google, Facebook, and I believe RV Park reviews. 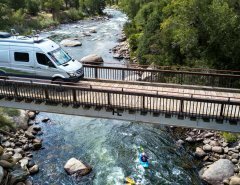 The owners were accused of changing prices on the camper regularly. They also claimed there was no hot water in the restrooms. The Wi-Fi was terrible. Etc., etc., etc. The review was pretty surprising to me so I contacted the park owner. The end result? Unhappy campers stuck near problem makers, unhappy trouble maker, and pretty nasty review that we still haven’t been able to remove from Google. Note: The park owner never responded to the review on Google. To the owner, it wasn’t even worth the time. Plus outing the camper for being a pretty pathetic parent wasn’t something the owner wanted to do. 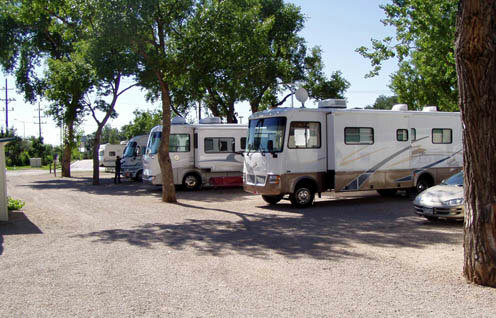 RV Parks depend on guests in order to stay in business. Some parks may cut corners here and there, but in general they normally try to provide nice level sites, power, water, sewer, and in some cases, Wi-Fi. Higher end parks offer swimming pools, gyms, and other recreation facilities. They don’t offer counseling services, domestic dispute resolution, and a free place to flop. Parks don’t get to do a background check on guests. They don’t know whether or not the next guest pulling in has 3 kegs of beer, vicious dogs, or drug issues. They can screen so much at the time of check in, and after that they hope that their guests all play nice. When incidents occur, the best and easiest recourse is to boot the offenders out. And 9 times out of 10 when you send a problem guest packing, you’ll see a pretty poor review of your park within 24 hours. It’s just the way it works now. So, when you’re searching for places to stay in your travels and you come across a nasty review with bad language and strange accusations, take a look at the other reviews first. One single star review matched up against 20 five star reviews will give you an indicator as to what you should believe. 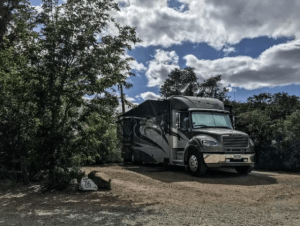 RV park reviews are great, and really help us in our travels, but the extremely odd ones make us do a little more research before discounting a park entirely! Redacted slightly from the very well-written blogger and writer Richard Charpentier, on JUNE 13, 2017, from The Airstream Chronicles.